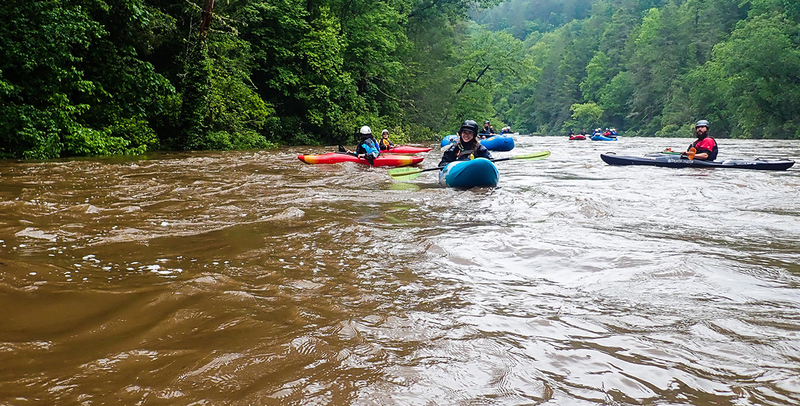 Conservation leaders and river enthusiasts celebrate the 50th Anniversary of the Wild and Scenic Rivers Act with a trip on the Chattooga River. The Chattooga River may be famous for its rapids, and being the site for the filming of Deliverance, but it’s now being celebrated for its status as a United States Wild & Scenic River. 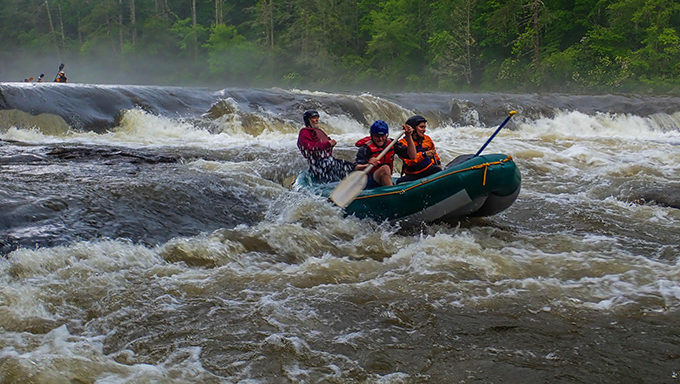 The Chattooga takes its name from “Tsa-tu-gi,” an old Cherokee village on the river. The word has no other meaning in Cherokee, and whatever it once meant in Creek has long since been forgotten. 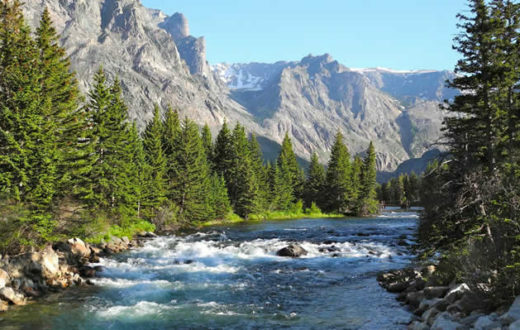 What has not been forgotten is the tremendous effort that was taken to designate 57 miles of the river, and 15,432 acres of its surrounding land, as federally-protected river corridor under the Wild & Scenic Rivers Act. On May 10th, 1974 the Chattooga River was designated Wild & Scenic by Congress. Flowing through North Carolina, Georgia and South Carolina, the Chattooga is recognized as one of the Southeast’s premier whitewater rivers. It begins in mountainous North Carolina as small rivulets, nourished by springs and abundant rainfall. High on the slopes of the Appalachian Mountains near Whiteside Mountain is the start of a long journey that ends at Lake Tugaloo between South Carolina and Georgia, dropping almost 1/2-mile in elevation along the way. 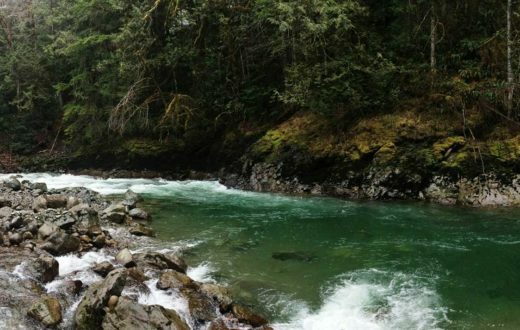 Flowing through three national forests, the river is one of the few remaining free-flowing streams in the Southeast. It offers outstanding scenery, ranging from thundering falls and twisting rock-choked channels to narrow, cliff-enclosed deep pools. Dense forests and undeveloped shorelines characterize the primitive nature of the area. 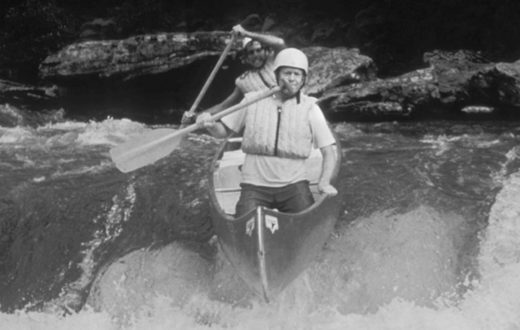 The Wild & Scenic Rivers Act, the federal legislation that protects rivers deemed to preserve certain rivers with outstanding natural, cultural, and recreational values, was passed in October of 1968. The Act is notable for safeguarding the special character of now over 200 of these rivers, while also recognizing the potential for their appropriate use and development. It encourages river management that crosses political boundaries and promotes public participation in developing goals for river protection. 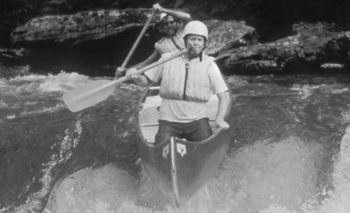 With 2018 being the 50th anniversary of the Act, land managers, conservation groups, paddlers and other river enthusiasts nation-wide have been celebrating the Act’s impact by visiting and paddling these places and sharing information on the success of this historic and unique form of protection. 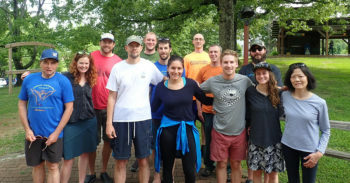 As just one of many events, River Management Society organized a celebratory paddle/rafting trip for local and regional river conservation organizations’ staff and members, as well as other river enthusiasts, to gather and further grow the conversation surrounding southeastern river conservation. American Rivers joined staff and members of River Management Society, American Whitewater, United States Forest Service, Sumter National Forest, South Carolina Department of Natural Resources, MountainTrue, City of Hendersonville, NC and City of Columbia, SC for a paddle trip on Section 3 of the Chattooga River. There were 12 rafters and 7 kayakers. The plethora of organizations present laid host to wonderful conversations on river conservation work, paddling adventures, Wild & Scenic River planning, and a contagious feeling of inspiration across water enthusiasts towards the good work being done to protect and advocate for our nation’s waterways. Pictured front-left to rear-right: Mark Singleton (American Whitewater), Scott Harder (South Carolina DNR), Melissa Martinez (US Forest Service – Wild & Scenic River Program), Jack Henderson (American Rivers & River Management Society), Regina Goldkuhl (MountainTrue), Risa Shimoda (River Management Society), May & James Leinhart, Kevin Colburn (American Whitewater), Plenio Beres (Sumter National Forest), Gray Jernigan (MountainTrue), Mike Huffman (City of Hendersonville NC), Charles Pellet (South Carolina DNR). Trip participants enjoyed conversations with their fellow river conservation companions and colleagues. Some folks had known each other across organizations and agencies for several years, collaborating on conservation work, while other attendees had the chance to meet long-time heroes. New relationships were formed, and the river offered a friendly and open environment to converse on regional water conservation, protection and recreation work, and informally learn about one-another’s work. Bringing together staff from three of nation’s leading river-conservation and management groups – River Management Society, American Rivers and American Whitewater, as well as several state and local groups, was a unique experience of which the impact-of would not be soon forgotten. 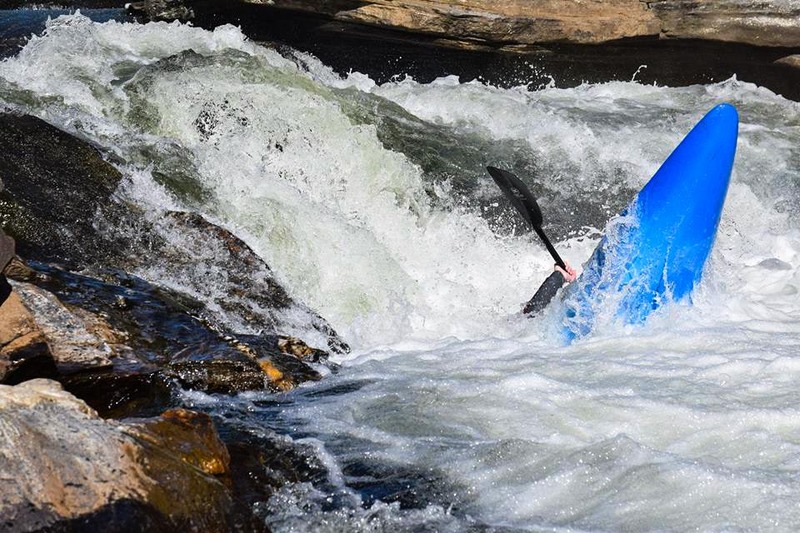 Wildwater Rafting Outfitters, in Long Creek South Carolina, hosted the entire group, and guided the trip’s commercial rafters down the river. 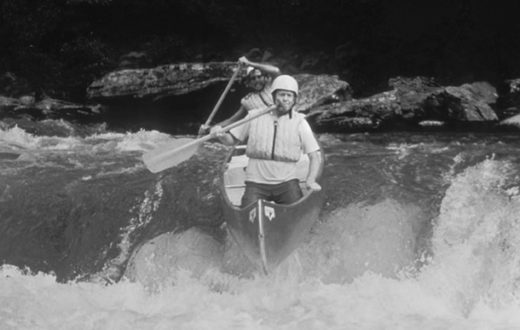 The Chattooga River is where it all began for Wildwater; they were the first commercial outfitter to run the river in 1971 and have ever-since held a reputation for safety, responsibility, skill and advocacy towards paddle travel on many sections of the Chattooga River. Our guides handled the high water with skill and tact, and provided the guests with a wonderful experience. With this year being the 50th Anniversary of the Wild & Scenic Rivers Act, American Rivers encourages everyone to explore, and advocate for, wild and scenic rivers of all kinds. 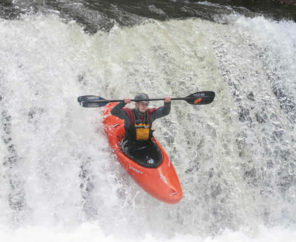 Check out www.rivers.gov/wsr50/ to learn about Wild & Scenic Rivers in your area, and how to get involved with them!